Trade deficit control has been ineffective as Vietnam’s trade deficit in January-April reached US$4.65 billion, or 23 percent of the export earnings in the period, agencies said. Export turnover in April was $5.7 billion, up 1.9 percent from March, while imports hit $6.95 billion, up 3 percent, the General Statistics Office (GSO) reported. As a result, the trade deficit in April was US$1.25 billion, compared to $1.16 billion in March, $1.33 billion in February, and $945 million in January. In the first four months of this year, Vietnam’s exports rose 8.9 percent year on year to $20.16 billion, while imports soared 35.6 percent to $24.81 billion. Major imports in the period were machinery and equipment; petrol and oil; steel and iron; electronics, computers and accessories thereof; and plastic products. Of the January-April trade gap, the foreign-invested enterprises (FIEs) accounted for $700 million. It spent $10.2 billion on imports, posting an expansion of 55.6 percent, and earned $9 billion from exports, gaining a growth of 44 percent. To help FIEs boost exports and reduce trade deficit, Prime Minister Nguyen Tan Dung has asked the Ministry of Industry and Trade to work with other ministries to remove unreasonable regulations that has hindered their operation. Commenting on whether increasing import duty should be a measure to help ease trade deficit, Vu Van Truong, head of the Tax Policy Office under the Finance Ministry, said such a measure is only a short-term one. This measure needs to be given a due consideration, as it may push production cost up and consequently give rise to an increase in prices of some commodities on the market. To increase export turnover and reduce trade deficit, the Ministry of Industry and Trade called on businesses to seek new outlets for exports and strengthen their marketing efforts in Asian, EU and North American markets. The country expects to earn about $72 billion worth of exports this year, an increase of 5.6 percent from 2009, and keep trade deficit under 20 percent of export earnings. However, the ministry said the trade gap target is unlikely to be met, since the country has to import as much as 80 percent of its demand for materials, fuels, machinery, and equipment for production of goods for export. For instance, the textiles and garment sector earned around $3 billion from exports in the last four months, but it had spent about $2.6 billion on imports of cotton, cloth, and other materials to make products for export, he said. According to the GSO, trade deficit control has proved ineffective as products subject to import controls, such as seafood, fruits and vegetables, steel, gems and precious metal, increased by 59 percent in the past four months. Goods subject to import limitation, such as consumer goods, motorbikes, and under-nine seat cars that are fully assembled, also rose 41 percent. 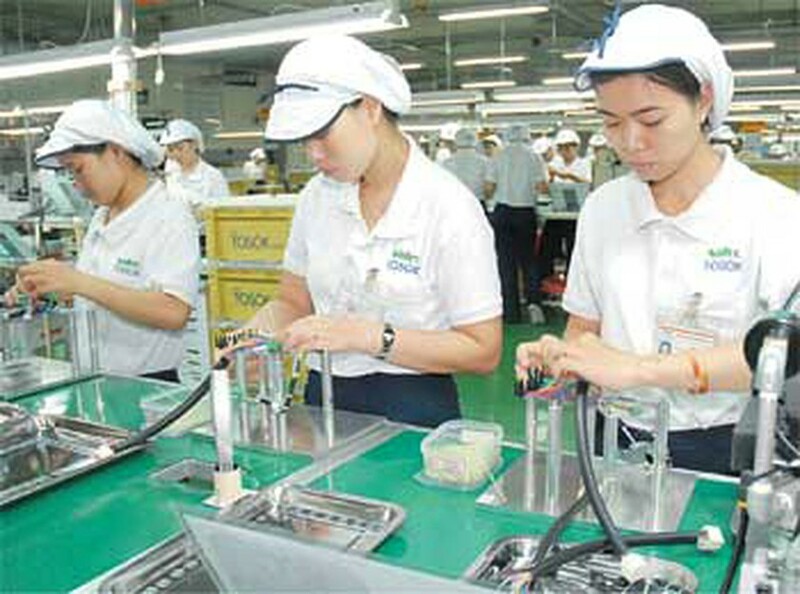 Meanwhile, trade deficit control has been efficient only in reducing imports of luxury consumer goods and machinery and equipment that the country can manufacture, said Nguyen Thanh Bien, Deputy Minister of Industry and Trade. However, he pointed out that those commodities accounted a modest proportion, about 17 percent, in the total volume of imports in the last four months. Therefore, their influence on reducing trade deficit is inconsiderably.